The Chi Transformation System, created and manufactured by Farouk Systems, uses safe chemicals to relax naturally curly and wavy hair. The results associated with the Chi Transformation System are unlike results obtained with other types of hair relaxers. After the treatment, hair appears silky, shiny and in better condition than before the treatment. Chi relaxers are safe for all types of hair, including fine-textured Caucasian hair and hair that has been chemically altered through perming or coloring. By definition, the Chi Transformation System is a relaxer, but it is unlike any other relaxer on the market. The product itself contains zero ammonia, and the process involves several steps that take hours to complete. The average time for a complete transformation runs around 3 1/2 to 4 1/2 hours. The process includes the use of several Farouk hair-care products and the use of a Chi ceramic flat iron as well. The Chi relaxer works for most people. All hair types -- including coarse, fine and chemically altered hair -- are viable candidates, making Chi accessible to more women than other types of relaxers. The Chi system causes minimal damage; it is even possible to color on the same day as the treatment. However, there are some limitations to the Chi Transformation System. Hair relaxed with sodium hydroxide or calcium hydroxide chemical relaxers and severely damaged hair cannot undergo Chi treatment, warns West End Styles, a hair salon in Quakertown, Pennsylvania. The Chi treatment permanently straightens hair and infuses moisture, shine and strength in the hair using a variety of chemicals, hair-care products and styling tools. Throughout the process, a Farouk-certified stylist applies chemicals, protein treatments and silk treatments. The hair undergoes a complete straightening with a Chi ceramic flat iron as well as a thorough blow dry with a Chi ionic hair dryer. All the products, tools and chemicals used work together to transform the hair. Farouk recommends using its shampoos, conditioners, styling products and tools after the Chi Transformation System treatment to keep the hair healthy. Perform a retouch, on the regrowth area only, every six to nine months. 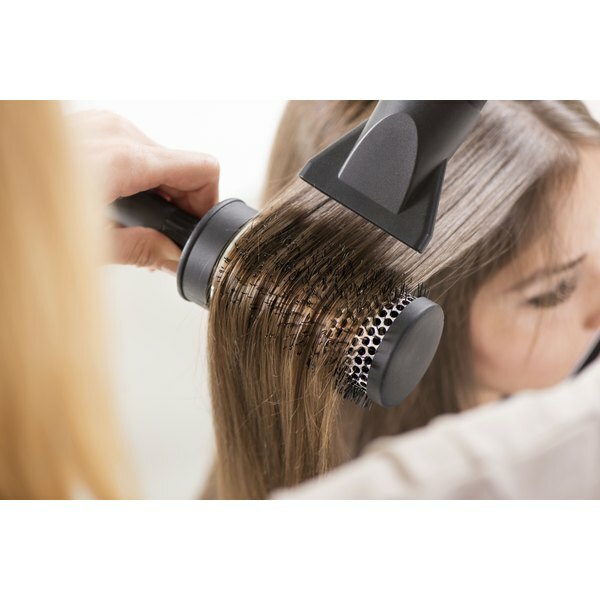 Only Chi-certified Farouk stylists can straighten hair with the Chi Transformation System. Farouk notes that it employs more than 2,000 educators to educate and train stylists in the use of its products. You must find a certified stylist to receive this treatment, and it's more expensive than traditional relaxers. As of October 2010, the price for the entire transformation ranged from $300 to $500, depending on hair length and thickness. Other types of professionally applied relaxers cost approximately $50 to $100.